Hey lovelies, hope you're all having an amazing week (or at least better than I am!) as I'm currently swamped in revision for my GCSE mocks which have just started this week. And if not? Well I hope this surprise Christmas Giveaway post will brighten it up anyway. 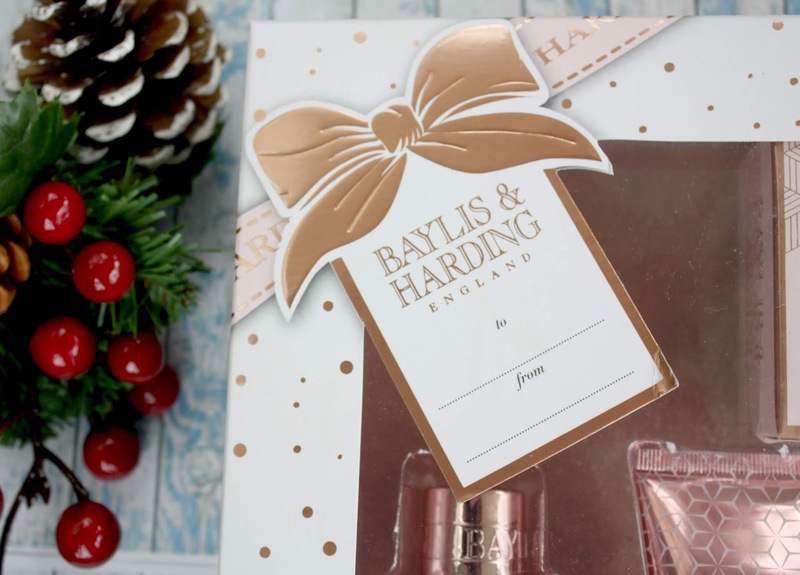 It's officially "the most wonderful time of the year" now and to kickstart this I'm hosting a giveaway giving you the chance to win this MASSIVE Baylis and Harding Gift Set , filled with all the best bathing products for the Christmas Season. I actually let you all pick the Giveaway prize over on my Instagram earlier this month, and you guys opted for this gorgeous rose-gold Jojoba, Silk and Almond Oil Ultimate Bathing Gift Set. Good choice! The giveaway ends on 20/12/18 giving you all just enough time to receive this as an early present from me to you, or to treat friends or family with this Christmas instead. The rules to enter are below, Good Luck! Head over to my Twitter to RT THE TWEET and follow the rules listed there. FOR EXTRA ENTRIES: just pop back to this post and enter via Rafflecopter below! QOTD: WHAT'S YOUR FAVOURITE THING ABOUT CHRISTMAS? I love the sweet scent of almond oil in bath products - this sounds so lovely! What a cute set! I swear the UK gets all the cutest stuff and treats! I am so in love with the giveaway you're hosting! LOVE The rose gold vibes. Good luck to all of the entrants! That's so cute!! I annoyingly don't have twitter haha. This is such a lovely idea. I absolutely love their products. I am so happy I found your blog. I look forward to reading more posts. This is such a cute gift set! My favorite thing about Christmas is time with my family, cooking together and playing table games by the fireplace. I enjoy baking cookies with my wife! Sometimes they even come out edible. My favorite thing about Christmas is spending time with family and friends. My favorite thing about Christmas would be to see family that visit from out of town. it is being with my family hands down. I also like snow on Christmas! Why it's Important to take a "Digital Detox."